I am glad that you landed here! As a survivor, trainer, and consultant on sibling abuse and how it impacts adulthood, I know that you have might have been searching and waiting for inner peace to arrive. You might have told yourself that a better life would show up. There is a better way to live well without worry, fear, and anxiety. Survivors of sibling abuse rarely have a chance to meet another survivor. Now is your time to meet one and create a powerful new mindset through empowered education. Peace can be yours. You must take the first step. For many years of my life, I didn’t have peace and worried every day. I thought it was my fate and found out that my brain had been programmed for a negative life. I suffered from chronic crisis, dysfunctional patterns, and health issues. With nearly 20 years of study, writing about sibling abuse, training, and working with clients of sibling abuse, I want to empower you to turn your life around. I want to share insights and empowerment education that would take a life time to acquire. I will share tools and beneficial information that I have created and used with survivors all over the world. Sessions are done through Skype or Telephone. You pick which option you want. With each lesson, you will receive valuable information and resources that will come to your email. Each powerful lesson is designed to help you jump-start and center your life. Peace of body, mind, heart and soul is your birthright and your destiny. Inner peace is possible, beginning today! Adult sibling abuse survivors rarely share their story and when they do disclose, are disputed by their abuser/and or family. Many spend time and money on trial-and-error hopeful solutions that do not create a shift in quality of life. Get unstuck and finally get what you want in life. Do you want a bigger, better life? Millions of adult sibling abuse survivors aren’t aware that they have Complex PTSD. Symptoms include low self-esteem, anxiety, difficulty with focus, wanting impulsivity, etc. 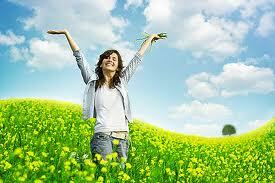 Heal from decades of life affected by Sibling Abuse. Finally Move On with Your Life! Individual, face-to-face SKYPE coaching sessions are specifically designed for the survivor who wants a new life! This program is combined with what I learned in my “own” journey of recovery from sibling abuse, study of neuroscience, expertise in EFT (Emotional Freedom Technique), national trainings on sibling abuse, and experience working with sibling abuse survivors. In each SKYPE session, you will beneficial information that will transform your life! Each session is an opportunity to heal emotional pain created as a result of sibling abuse. If you are seeking inner peace and the ability to have a fulfilling life, my commitment is to fully support you. Take advantage of 1 or more sessions. The choice and control is in your hands. At each session, you have the opportunity to tell your story. Receive years of emotional relief. Meet another survivor of sibling abuse! Understand how the child and adult brain incorporates sibling(s) abuse. Learn skills in decreasing anxiety. Option: Share “your story” with EFT (Emotional Freedom Techniques). 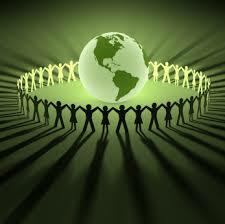 Receive an overview about sibling abuse and a definition of sibling abuse. Learn to release shame and learn boundary skills and assertiveness. Option: Share “your story” with EFT. Learn about meditation, de-stressing tactics, and how to short circuit an anxiety/panic attack. Learn to increase confidence and release faulty over learned beliefs that no longer serve you. Learn about incorporating positive people and let go of the toxic ones. Receive confrontation skills of how to deal with anger. Learn about research on sibling abuse.